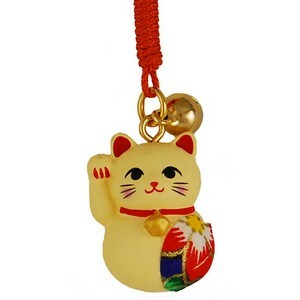 Lucky cat charm ideal for use as a mobile phone or key ring or bag accessory. Right paw up - brings good luck with money. Each cat has a unique origami patch. There will be variations in colour and pattern between the example shown in the picture and the charm you receive.